This week I’ve been writing about things that matter. Here’s one that I’ve been thinking about a lot, lately. After being laid off post Y2K, I remember to cope I did anything I could to keep my daily life in tact. 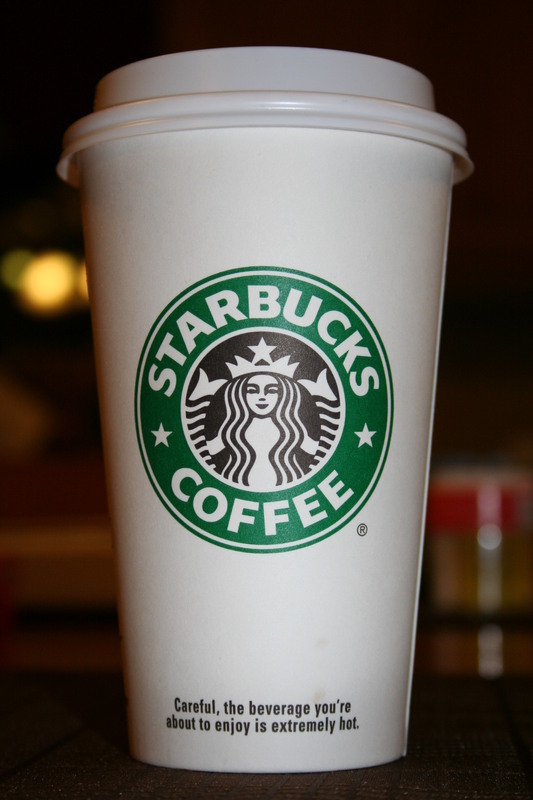 Each morning, despite my lack of a paycheck, I would treat myself to a Starbucks. Starbucks made me feel really good. The store personnel knew my name, knew how I liked my poison, and they knew me. After spending years going into the same store every morning, I became a part of their day, and they were a part of mine. For me, the $5.00-7.00 a day and sometimes more was well worth the experience I got. Steve Jobs believed in “the experience” so much that he perfected the art of making great products that people loved. Apple is another company people just love. If I want help, I can go to the local store and visit the Genius Bar where I can have a real conversation with a real person, face to face, who isn’t 5000 miles away in a call center. How’s that for experience? Southwest Airlines is another company people just “luv”. Despite their home base in Big D (Dallas), once revered a snooty part of Texas, their pilots are people and aren’t too good to greet passengers. The flight attendants sing their safety demonstrations to get your attention and you just never know what they are going to say next. What do Starbucks, Apple, and Southwest all have in common? They get culture because they’ve created it from the inside out. I attended a breakfast this week in Houston where three executives spoke about their secrets to success. The common denominator? Culture is a way of thinking, behaving, or working that exists in a place or organization. Strong cultures flourish. Weak cultures flounder. And in today’s social world, it’s not good enough to have cash in the bank, the best idea, the prettiest logo, or even the most solid strategy. Long-term success is dependent on the cultivation and development of culture. Companies that care, and don’t just comply, win. Companies that inspire people to do their best, reach their best, and develop their best, win. Winning is easy when you have all the successful ingredients for a rock-star culture. What Hugh preaches is purpose. Read and buy his stuff. It’s good. When employees, shareholders, partners, and customers are grounded in purpose, companies ultimately drive profit (for all). You and I spend 8, sometimes 12-16 hours of our days working. It’s like 2000 hours a year (really more). That’s a lot of time spent away from family, friends, and leisure activities. Spending that time in purpose, matters just as much as the time you spend at home. What are the ingredients for a cup of world-class culture? Integrity and Honesty – Do what you say you are going to do. Be transparent. Respect for People – Hold all people in high regard, regardless of where they are from and what role they play…employees, customers, suppliers, shareholders, communities, and governments. Have a collaborative spirit that values diversity of thought and the right level of inclusion. Learning Focused – Celebrate success and learn from failures in a visible impactful way. Responsible – Have sound judgement for financial, social, and environmental matters and invest in the causes and communities that have a meaningful impact. For me, culture is that cup of coffee that fuels my spirit, mind and body into action. It’s a place where you feel a part of something bigger. It’s the central nervous system, the heartbeat and the cadence in an organization that makes good stuff happen. It that thing that gets you out of bed every day without an alarm clock because you went to bed thinking about how great it is to get up and give your best. It has nothing to do with money or title and everything to do with meaningful work and people. A while back, I said good people don’t leave bad companies. I was wrong. Customers, investors, shareholders, and good employees leave and ultimately bad companies get acquired, divest or go out of business. Good companies win in the long term because they put people and purpose at the heart of everything they do. They focus on what matters most: culture. What say-you about culture? What companies do you “love” buying from or working with? Why do they matter to you? I haven’t left a comment on any others, but this one I’m sharing with as many of my colleagues I can that have some level of influence in their business. Far too often companies don’t have a “soul” as Howard Schultz talks about. Great article Katie! Spot on Katie!! This is one of my favorites because it is so true. It’s a simple concept that not enough companies are getting. I think today’s enterprises (large or small) will have to get culturally fit if they want to compete long term. The next generation of workers behind mine are selective….and if they don’t want to work for (the man), they are entrepreneuring the next new app or Facebook. I think the business world is in for massive consolidation soon.